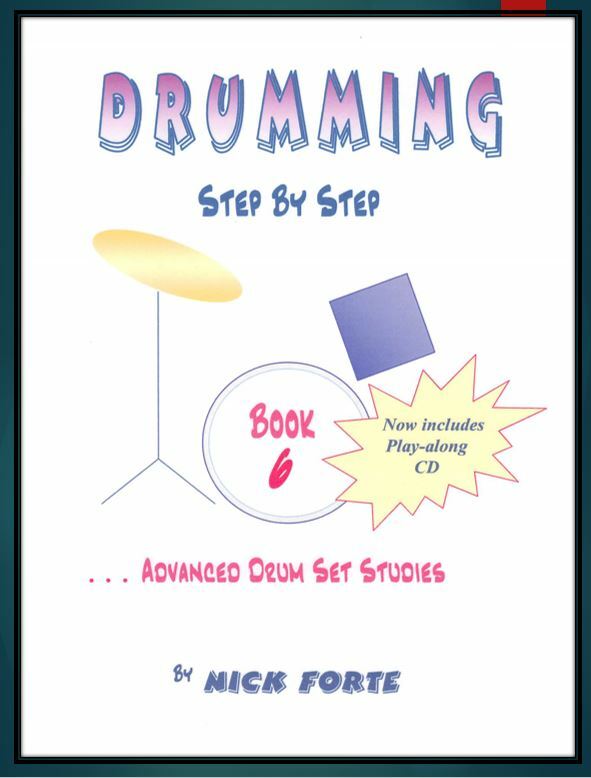 In this last book of the drum course, we will deal with advanced Drumset material. The work can be difficult at times . Take it at a comfortable pace. Don’t rush through pages without gaining a complete understanding of each concept. This is especially important on material that can be directly related to job activities – such as wedding-band work. If some of the examples seem too difficult, it is alright to work on adjacent material – going back to the hard parts later on. (It is true, what seems simple for some, could seem difficult for others – and vice versa.) Most of the time, if problems or questions arise, the answer(s) usually can be found in an earlier section of the course ­ most often in the same book. On the concluding page of this book you will find a recommended list of materials. Use this list to enhance your drumming skills. Some of the material can be used along with the course itself- especially “play-a-long” CDs.